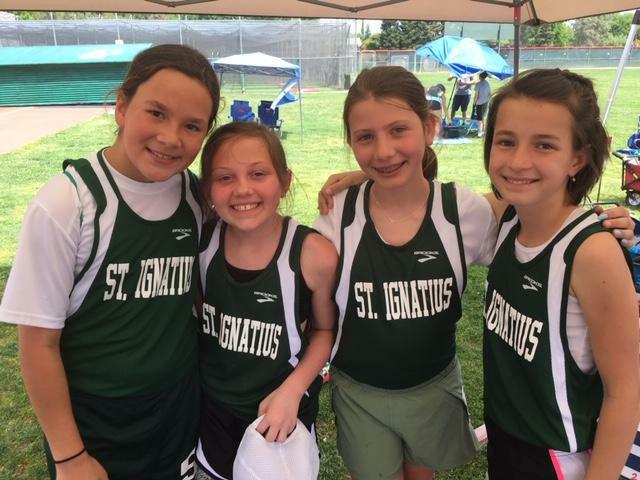 Sports are an integral part of the total religious and educational program at St. Ignatius School. We offer an extensive extra-curricular athletic program. The purpose of our sports program is to foster individual development through exercise, example, and athletic competition within a Catholic/Christian atmosphere. In addition to the many PAL championships, we boast an athletic program that accommodates nearly all of the students who wish to participate with our “no cut, no quit” policy. Practices are Tuesday & Thursday immediately after school. Practice ends at 4pm. Kids without rides at 4pm are checked into Extended. Kids will need shorts/t-shirts and running shoes (most likely the shoes they wear to school -no spikes). Water bottle and a snack like a granola bar or fruit is always good so they don’t run out of energy. Logo wear sweatshirts may be worn on all school days, except formal uniform days including Mass days. Uniform approved logo wear is for sale in the office. Interested in coaching at SI? Are you interested in coaching one of our many St. Ignatius Athletic teams this year? Coaching requirements include: Play Like a Champion certification; Online concussion course certification https://nfhslearn.com/courses/61151/concussion-in-sports; current Safe Environment Training; background check; and Blood Borne Pathogen online training course. Contact Athletic Director Lisa Schneider lschneider@stignatiussacschool.org for more information. The St. Ignatius Student-Athlete Code of Conduct governs student athlete behavior. All players will demonstrate the utmost courtesy and respect toward coaches, officials, players, and parents. All players will wear proper safety equipment when participating on the team. All players will remain on the field or court until excused by their coach. Players will not engage in any horse play during any session with the team. Profanity and immature outbursts will not be tolerated at any time. Academic performance must be in compliance with the extracurricular eligibility policy of the school. All players must commit themselves to be on time to all practices and games. All players will emphasize the proper ideals of sportsmanship, ethical conduct and fair play.